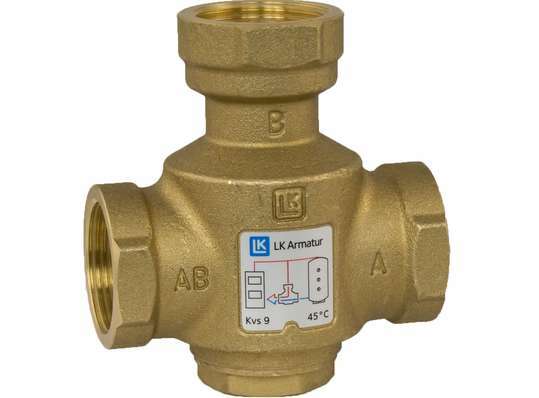 The LK823 thermostatic valve has 1” female connections and will accept good flow rates. It is used as back end protection for pellet and woodburning boiler stoves. It comes as standard with a 55° cartridge.